If I had to choose one word to describe this salad it would be so simple – “Fresh” says it all. 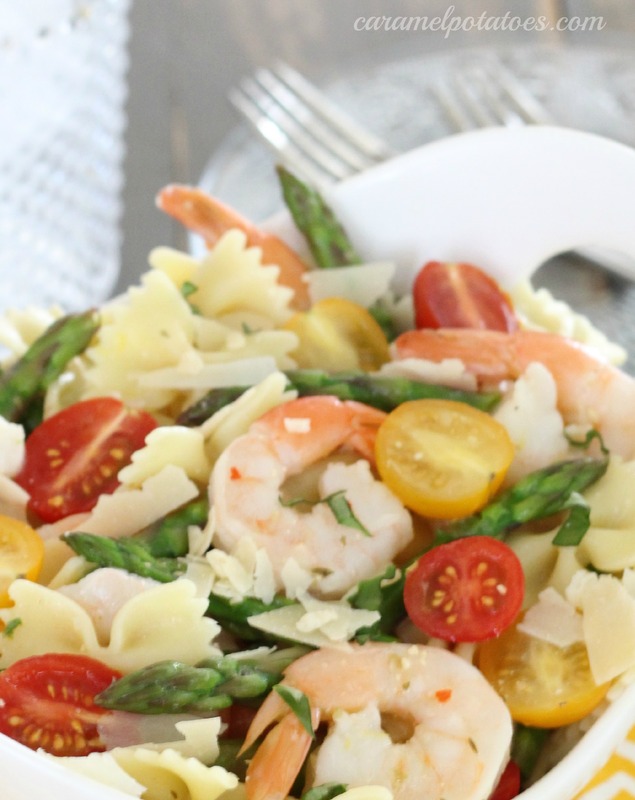 Shrimp, pasta, fresh asparagus, fresh tomatoes and parmesan tossed with Italian dressing, lemon zest and fresh basil . . . Add it all together and you have one very fresh and delicious salad. 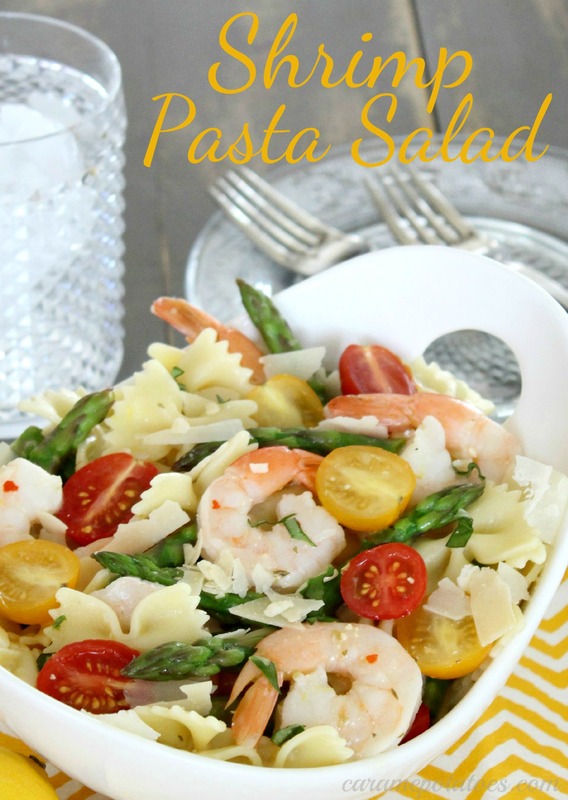 This pasta salad is perfect as a side dish, especially with grilled favorites, or just add a baguette to serve as a light summer supper. Cook pasta as directed on package, adding asparagus to the pasta for the last 3 minutes of cooking. Rinse pasta and asparagus with cold water; drain well. When ready to serve add additional Italian dressing as needed; toss with shrimp, tomatoes and cheese. Garnish with additional cheese and basil if desired. 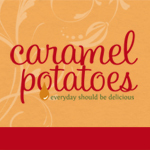 Serves 12 as a side dish or 4-6 as a main dish. Sounds delicious! I love pasta salad! Sounds so good! I love pasta salad! Made this for a wedding and it was a huge hit!! Also have made it without the shrimp and added orange and yellow peppers and pearl mozzarella balls…yummy! Jan – I’m so happy the salad was a hit at the wedding! Love the addition of peppers and mozzarella balls!